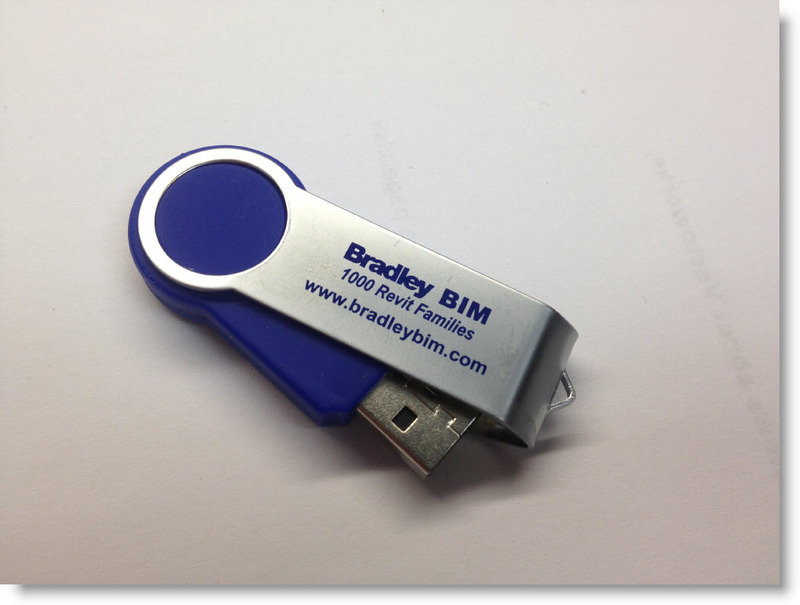 BIM Flash drives include more 1GB of content including the Bradley Revit Library of 1,000 families, Bradley Revit Material Library, Bradley BIM newsletters, links to Revit tutorials, videos and much more. 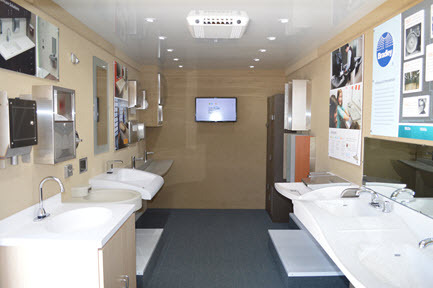 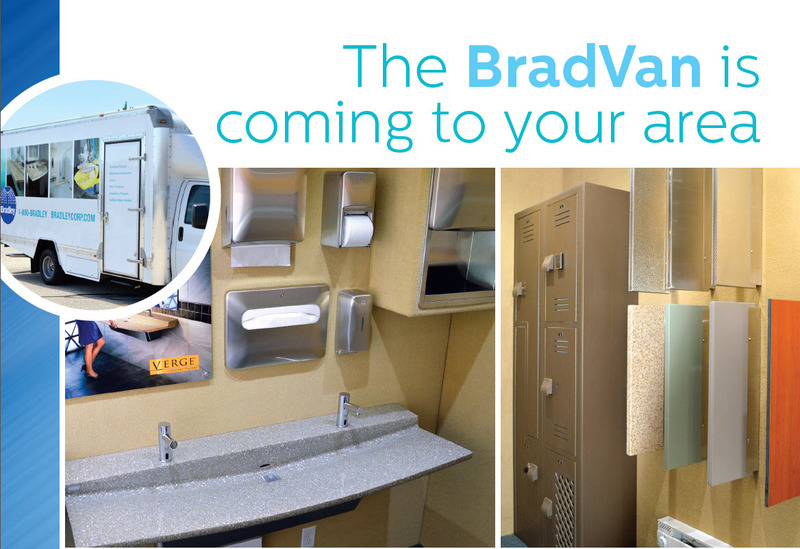 4th Generation BradVan Mobile Showrooms have a variety of Bradley commercial plumbing & Washroom products installed within the showroom. 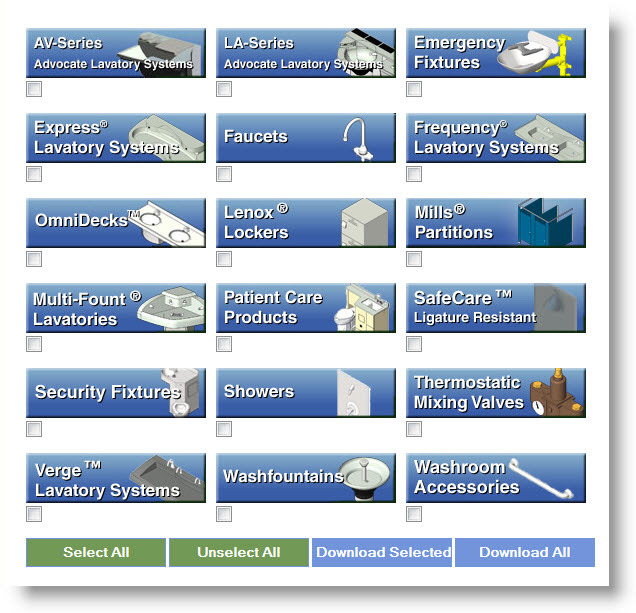 Showrooms vary with selected products. 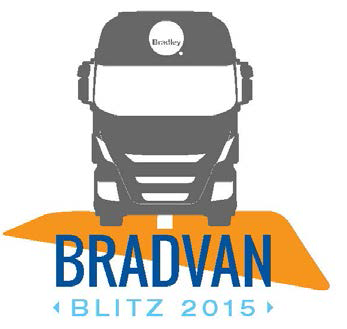 The BradVan fleet consists of 3 mobile environmentally-controlled Bradley product showrooms. 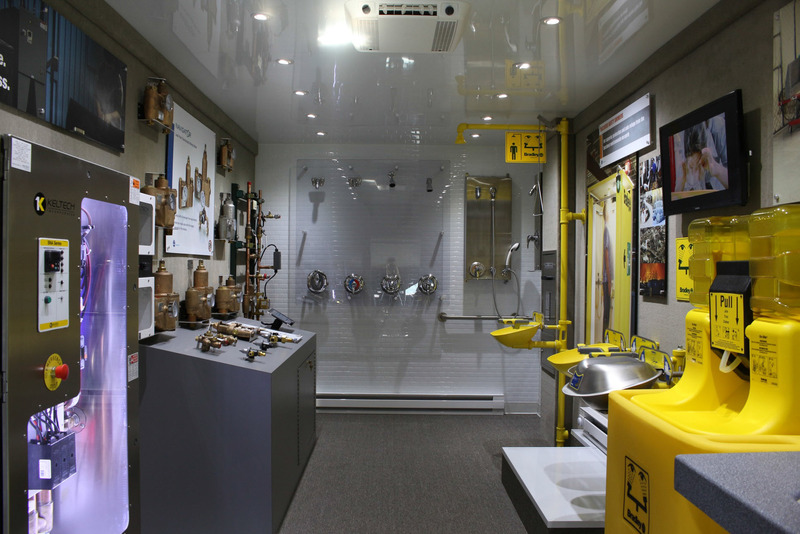 They will be making scheduled visits (by request) to architects, engineers, contractors and facility owners at their offices across the US and parts of Canada. 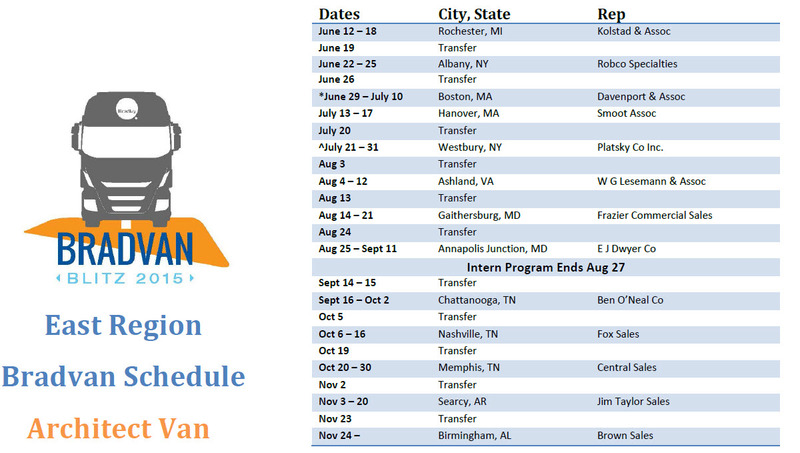 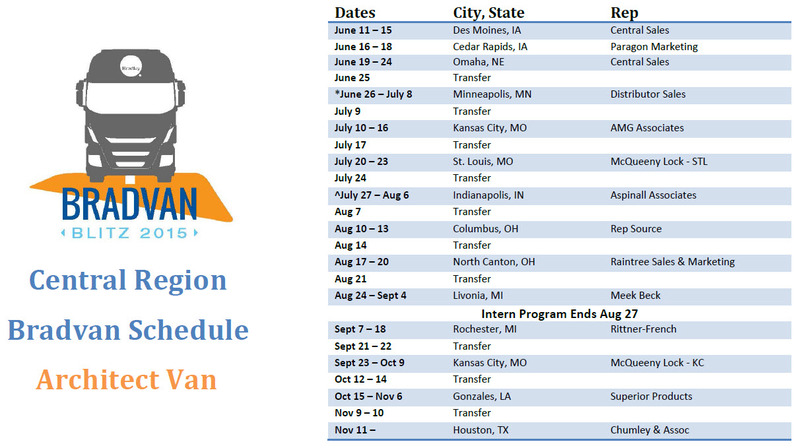 Review BradVan Travel Calendars below, then use the Request Forms below to request a convenient site visit to your office.